Since 1969, Gene’s Automotive has been providing premium auto-repair services throughout Dinwiddie, Petersburg, Chesterfield, and Colonial Heights, Virginia. Family owned-and-operated, we provide you with exceptional, prompt, and friendly experiences every time you come. We take pride in our work and in our customer service. We work hard to ensure you aren’t without your vehicle for too long, and we make sure that we fix it right, the first time. Our staff will take the time to determine exactly what type of problem you are experiencing, and make repairs to cars that most places cannot. We know your vehicle is important to you, so we make it a priority to treat it as if it were our own. We offer friendly, premier auto repair services and our prices are still affordable. We provide services on both foreign and domestic cars and trucks and specialize in antique cars. No matter the make, model or year, we can help you get your car up and running. 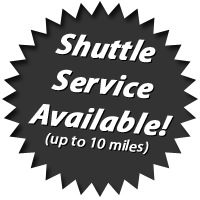 Also offering services for RV’s, Limousines and Diesels! We also offer a FREE road test & Check-up! Towing is also available. We honor most extended warranty service contracts. Ask us about our VSU, Military and Senior discounts! Financing is available, call for more information! If you have any questions about your car or about how we can improve the quality of your vehicle’s life, contact Gene’s Automotive today!